Each of these colourful interactive books includes over 20 felt pieces to play with. 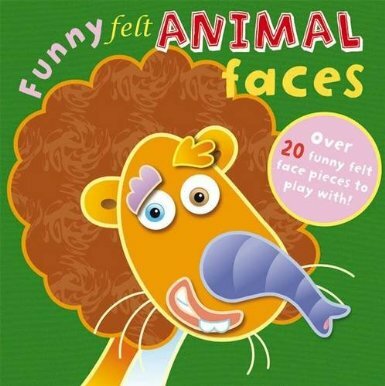 The humourous spreads, each with rhyming text, illustrate various animals - match the felt pieces to complete your own animals or mix them up to create new varieties. Endless fun - this series helps develop early vocabulary and creativity.